For the second time in as many series, the top two seeds will meet in the Speed Star this Sunday afternoon. My Redeemer and Maurice Minor set their times in the same remarkable race in May that saw My Redeemer win in a slick 29.123, just 0.079 seconds ahead of the Queenslander. Both have contested group 1 finals at Sandown Park since, with My Redeemer winning the Harrison-Dawson and Maurice Minor contesting the Crocmedia National Sprint Championship. 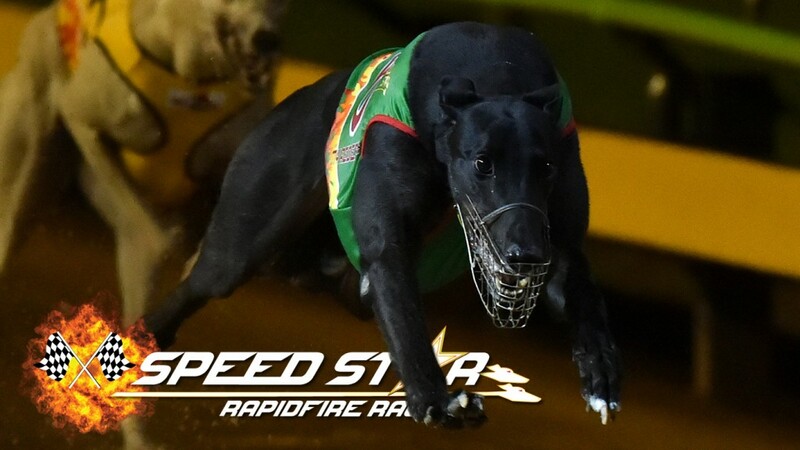 My Redeemer was the second seed in May’s Bill Collins Speed Star series before finishing third behind Dyna Patty in the rain affected event, and is aiming to become the first top seed to win a Speed Star since Smart Missile claimed the inaugural series in September 2015. The top seed in the May series, Elevated, will meet two-time Speed Star consolation winner Not Available. In fact, Not Available ran the fastest time in May’s series, stopping the clock in 29.246. Dyna Patty returns to defend her Speed Star title and will meet Orson Allen who scraped into the top eight by just 0.013 seconds, while Hecton Bale and the runner up in May’s Speed Star Poke The Bear will meet in the opening match of the series. Interestingly, all eight Speed Star runners have contested group 1 finals with four – My Redeemer, Elevated, Dyna Patty and Hecton Bale – tasting success at the sport’s highest level. Tornado Tears headlines the Speed Star 595 event where he will jump from the inside box against kennel mate Benali. Tornado Tears won the corresponding event in May, and opened the $1.30 favourite to defend his title on Sunday. Tornado Tears rounded out his preparations with an impressive victory against his littermate Rippin’ Sam in the ‘Battle of the Brothers’ exhibition last Thursday, running 33.774, or 0.006 seconds faster than his previous best over the distance. Dyna Chancer, the first greyhound to qualify for all three distances of the Speed Star, meets Big Bang Tears after trainer Correy Grenfell made the late decision to switch him from the 515m event. Zara’s Entity, who ran third over 515m behind Bewildering 12 months ago, will meet Lila Bale, while boom middle distance chaser Ella Enchanted will meet Neo Cleo in the final match of the series. In the Speed Star Stayers, Rippin’ Sam returns for a second tilt at the title and will meet Western Australian chaser Moment To Jive. Rippin’ Sam finished more than quarter of a second clear as the top seed and again looks hard to beat in this format. The new kid on the block, Equilibrium looms as his biggest danger after clocking 41.698 in his only start over the trip. 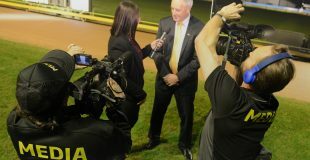 The Speed Star is greyhound racing’s newest and most exciting format. A total of 20 match races to be run over three hours with a total of $190,000 in stake money up for grabs. Greyhounds qualify for the series based on times recorded in races and trials between 1 May and 9 September and are then randomly drawn into their respective matches. Greyhounds drawn an odd number will jump from the inside (box 1), while greyhounds drawn an even number will jump from the outside (box 3). The series kicks off at 5.39pm on Sunday 16 September and Sky Racing’s Dave Carlson and James van de Maat will be bringing you the action from the track, with Jason Lincoln in the studio. Sky Racing 2 will be free for Foxtel subscribers throughout the day. The series is a bonanza for punters, with TAB offering fans a host of fixed odds betting options. PLUS, there’s more than $20,000 in cash and prizes up for grabs for patrons on course. Entry is free, visit www.topdogtipping.com.au for details on how you can be a winner.